Allows the preparation and addition of the premix products. 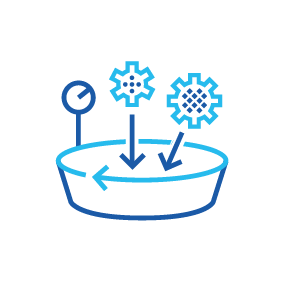 RFID tagging system streamlines traceability when preparing buckets, which are scanned at the tipping point to verify the correct recipe and running order. 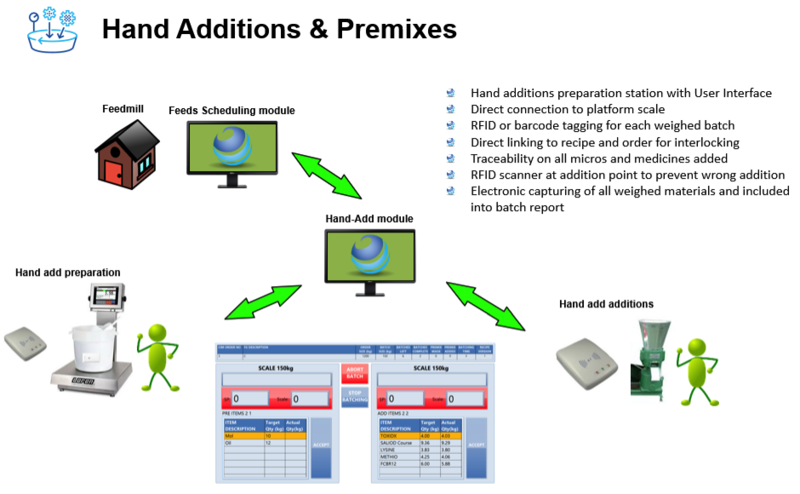 Hand-add module comes with its own interface where premixes are prepared, connecting directly to the platform scales to store actual weights-per-raw material in the database. Each premix is allocated to its specific order and recipe for interlocking when they are added to the main batch.